This is perhaps one of the hardest selections of marijuana strains to pick from. There are not only a huge number of hybrid strains, but there’s also the question of “What makes a strain a hybrid?” Can indica- or sativa- dominant strains with a be considered a hybrid, or does it have to be an even 50:50 split? Or perhaps it’s all about the effects – if it is an “up” high followed by a stoned effect (or vice-versa), then it’s a hybrid? Or is it a mixture of the genetic and effect that makes a strain a hybrid? To make matters even worse, almost all non-landrace strains are hybrids, regardless of whether it’s indica- or sativa- dominant. This is because hybridization can keep plants vigorous & healthy, improve yields, save rare & unusual genetics, and make plants that might not otherwise grow in different climates. Moreover, even some landrace strains are hybrids, due to the introduction of new cannabis strains and cross-pollination in fields far and wide. Well, whatever your opinion on this, here are some of the best hybrids around. The strain the helped kickstart the CBD revolution. When Resin Seeds released this, the world of marijuana changed dramatically. Without Cannatonic, there would be no ACDC, and the creators of Charlotte’s Web not have had proof that, yes, a strain rich in CBD and low in THC could be created. Medical Jane has a review of the Cannatonic strain. The work that has gone into making Cannatonic is amazing. Resin Seeds had to select from a huge number of strains in order to get what they and so many in the medical community wanted, including Congolese sativas, Pakistani kushes, the legendary strain Reina Madre and the fantastic NYC Diesel. Thankfully, they were successful, and wisely released Cannatonic in regular seed form as well as feminized in order to allow for cross-breeding. Cannatonic still tends to produce more CBD than most other CBD-rich strains, and the fact that it’s available in seed means that it doesn’t feel as “restricted” or “exclusive” as strains like Charlotte’s Web. Resin Seeds have also gone on to work with others in producing CBD-rich strains, and we’re sure they’ll carry on being at the cutting edge of marijuana science for some years to come. An image of UK Cheese posted on International Cannagraphic. Cheese is a Skunk #1 phenotype that hails from the Chiltern Hills in England. This strain was developed by the Exodus Collective, who used to run amazing free parties during the early- to mid-90s. However, the Exodus Collective were more than just a group of marijuana-growing party fanatics – they also started and ran social housing projects, city farms and drug rehabilitation programmes. Cheese was the Exodus Collective’s gift to the world, and in it they created a type of cannabis perfect for the wet, temperate climes of the UK. Some clever Richard also decided to cross it with blueberry, to give us the excellent Blue Cheese. For some, though, the original UK Cheese cannot be beat. The flavor is funky, skunky and a little bit fruity (and of course cheesey), and the effects can be energetic and euphoric, before settling into an indica stone. Cheese is great for relaxing the muscles and pain relief, and can provide sativa effects without the “raciness”. Alongside Northern Lights #5, Skunk #1 helped usher in the homegrown revolution. A hybrid of Acapulco Gold, Colombian Gold and Afghani varieties, the pedigree of the genetics speaks for itself. This hybrid tends to produce a high-energy buzz and kills stress. Skunk #1 is great for relieving stress, anxiety, depression and fatigue. The smell and flavor is citrusy, earthy and pungent. The best thing about Skunk #1, though, is both its reliability and the various phenotypes that can be found within it. This makes Skunk #1 not only excellent for breeding and growing in all sorts of climates, but also means that growers can find phenotypes on both the sativa and indica ends of the spectrum. 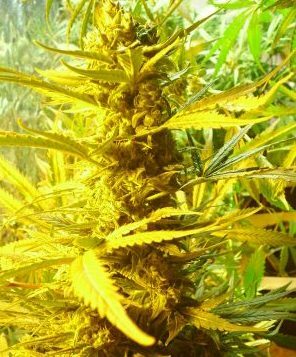 A fantastic strain when the Sacred Seed Co. released it in the late 70s; a fantastic strain today, where Skunk #1 is still grown by both beginners and experts alike and is used in all sorts of breeding projects. We could probably populate this list with all the strains the came from Chemdawg: Sour Diesel, OG Kush, Stardawg… The list goes on. However, we decided to go for the original: the, Chemdawg ‘91. Also, this strain has one of the coolest stories around, as the strain was discovered in an ounce of high-quality pot bought at a Grateful Dead concert. Chemdawg ‘91 is sativa-leaning, but there are quite a few indica phenotypes out there. The taste is very diesel-y, lemony and piney, suggesting it could come from Thai, Nepali and/or Skunk #1 ancestry, but the precise origins are shrouded in mystery. Medical marijuana users tend to take Chemdawg ‘91 to help them feel happy, relaxed and uplifted. Also makes great full-melt hash. Bred by Soma Seeds, NYC Diesel is a sativa-dominant cross between the excellent Sour Diesel and an Afghani/Hawaiian male that provides cerebral effects that eventually settle into deep, full-bodied relaxation with little to no paranoia-inducing effects. NYC Diesel is great for socializing, and tends to make a lot of people quite talkative! 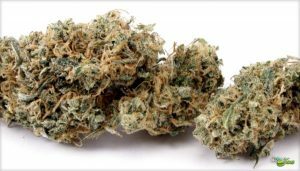 NYC Diesel is great for stress, pain, inflammation and fatigue. The CBD isn’t too high, but high enough to take some of the edge off of the THC. There’s also lots of limonene and pinene, so the energetic effects are doubled with this strain! An excellent Sour Diesel cross, if you can’t get a hold of the clone-only version. One of the newest strains on this list, as well as one of the most popular. In this case, the hype is merited. GSC is a fantastic strain with a great cannabinoid and terpene profile. Expect high levels of THC, THCV and CBG, some CBN, CBC and CBL, and small amounts of CBD. The taste is sweet, earthy and, yes, slightly cookie-ish. Effects are happy, relaxed, uplifted, talkative and creative, and can help relieve pain, nausea, headaches and depression. The other great thing about GSC is that it crosses OG Kush with an African strain that is almost dying out now: Durban Poison. This makes this strain extra special, as it mixes the phenotype range associated with OG Kush with the high THCV of Durban Poison. This takes some of the edge and intensity off of the Durban Poison, but retains its “up” qualities whilst at the same time giving the grower the potential to find an indica-leaning strain. The high THCV may also help those with diabetes and neuropathy. Durban Poison is an increasingly rare strain. Six other hybrid strains of note: White Widow aka Black Widow; Gorilla Glue #1 & #4; OG Kush; Cinderella 99 aka C99 or Cindy 99; Bubblegum; AK-47. There are lots of strains that could be called “hybrids” on this list (e.g. NL #5 x Haze, Jack Herer), with many of them being quite fantastic. However, we’d be here forever if we were to list them all. Feel free to tell us your favorite(s) in the comments below!